The day of eats I’m sharing on the blog is from Sunday, when we were stuck at home all day with (thankfully) a much weakened Hurricane Florence blowing through. Since the IOP I was supposed to contract at on Thursday was cancelled for the storm, and all my clients were virtual on Friday, I had basically been cooped up inside for four days at this point. Pretty sure we watched every possible thing on Netflix - when I found myself crying while watching a National Geographic documentary about Yellowstone featuring a poor little baby bison that got separated from it’s mom, I knew I was ready for this storm to be over. Although I know I am lucky that being exhausted from being cooped up is such a little thing compared to what other people experienced. If you were affected more severely by the storm, please know you’re in my thoughts. If you’d like to donate to relief efforts, here’s a helpful article by NPR with local organizations. I slept in still about 9:30/10ish, which felt amazing. I think I mentioned it in another post, but I’ve been playing Naturespace at night and I swear it makes such a big difference in my sleep. Probably because it drowns out the noise of our snoring Saint Bernard. Since it was raining and dark and grey outside, a breakfast of warm oatmeal sounded perfect. I cooked oats and Qia cereal in canned coconut milk, and mixed in powered peanut butter, a bit of maca powder, cacao nibs, shredded coconut, and honey. Realized I forgot to take a picture - it was pretty ugly looking though so you’re not missing anything! Sometime between breakfast and lunch, the hubs opened up a bag of potato chips, and a grabbed a few to taste them. I love kettle chips, especially ones that are spicy or barbecue flavor, but traditional Lays don’t really do anything for me. Still, a bite of something salty sounded good, and that small bite satisfied. That might even be ascribing more thought than I put into it - it was a very mindless decision. 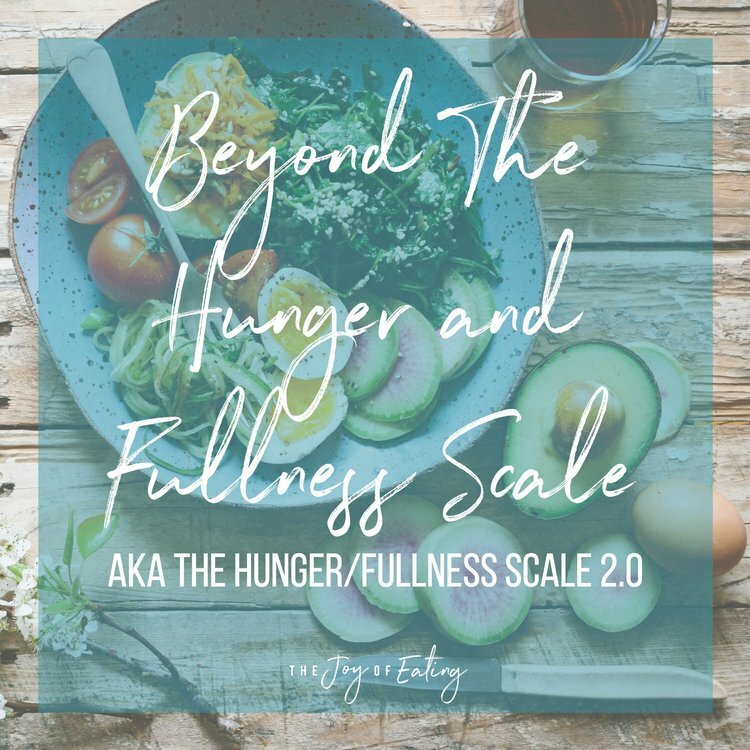 I feel like there’s a lot of shame around grazing or having mindless bites of food, and certainly if you’re grazing to the point where it interferes with hunger and fullness around regular meal and snack times, that’s something to address. But absent of fatphobia, is it really that scary to just grab a bite of something to quickly satisfy a taste hunger (or for boredom or whatever other reason). There’s often this underlying fear that the calories from mindless bites will add up, which makes sense when we’ve been in a diet culture that makes it sound like the smallest details with food will add up to weight gain. But we don’t have that much control over our weight. And the relationship between food and weight has much more to do with the big picture of eating than any little day to day eating decisions. If you’re in NC/SC and were trapped inside too all weekend, I’m sure there were a lot of hurricane snacks going on that you might feel guilty about. 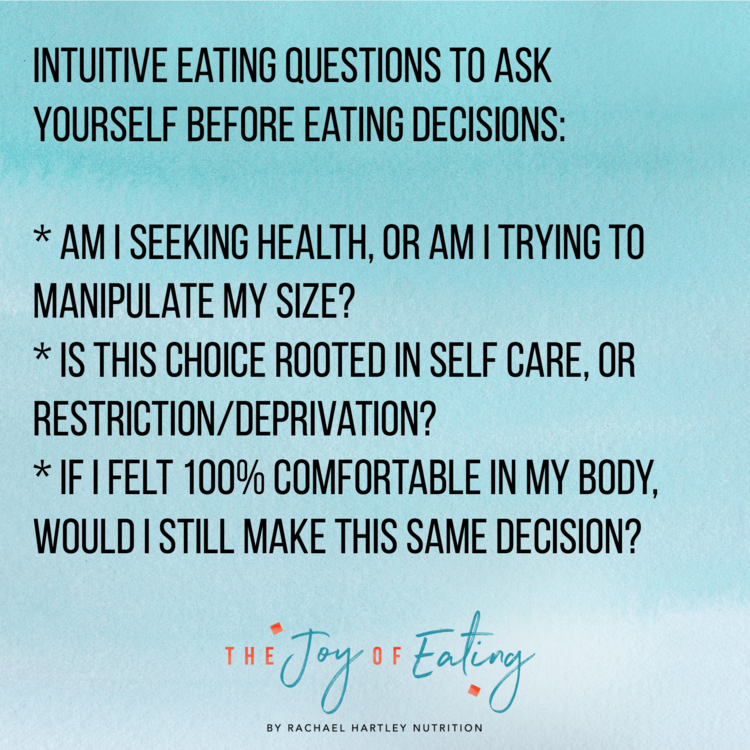 A good question to ask yourself is if I wasn’t afraid of gaining weight, would I still be concerned about the eating behavior or food choice? For lunch, I had leftovers from the night before - soba noodles tossed with Whole Foods coconut peanut sauce, sauteed bok choy, and microgreens from City Roots, and a pureed carrot, lemongrass and coconut soup. I came up with the recipe as a way to use up some ingredients that had been hanging around a little too long - microgreens, peanut sauce, carrots and a tube of lemongrass. When I plan meals for the week, I usually sit down with an idea of what ingredients are in my fridge ready to use up, and go through a cookbook or pinterest and look for some recipes that call for those ingredients. 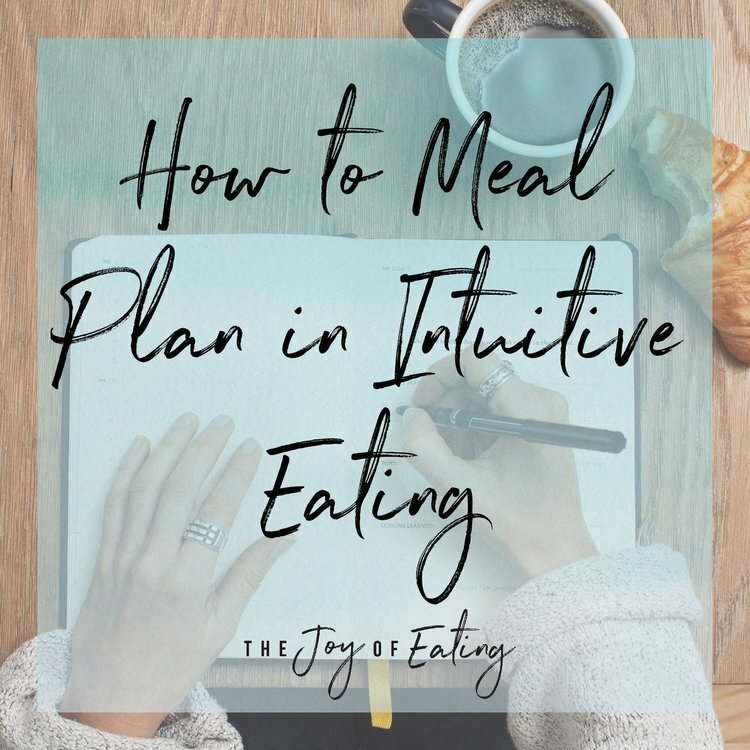 Here’s a post a wrote on meal planning for intuitive eating if you’d like to learn some more strategies for planning with flexibility. The rest of the day, we just hung around watching movies while it rained outside, and since we ate our meals a little later, and also basically didn’t move from the couch, I didn’t get hungry again until dinner time. Normally I have 1-2 snacks in the afternoon, but I really wasn’t hungry for anything that day. When you feed your body consistently, you’ll start to notice a “flow” to your hunger cues, but when life is a out of it’s usual routine (unfortunately, I don’t typically sleep in till 10 or lay on the couch watching movies all day), you may notice that flow is off. And that’s okay - just continue to listen to your body and honor it’s hunger. If you’re in eating disorder recovery and using a meal plan, it may be more important to eat at consistent times, so you may be eating at times you aren’t feeling hungry. Since we were pretty invested in watching a movie (Tag, in case you’re wondering), by the time we were done watching it, I was feeling pretty hungry, about a 2.5 on the hunger/fullness scale, so I had a spoonful of almond butter and drank a sparkling coconut yuzu drink so I’d feel a little more comfortable as I was cooking. I got this brand of almond butter because it was on sale and cost the same as store brand, but it kinda cracked me up that it was marketed as gluten free/paleo/grain free/etc. Like, isn’t all almond butter? Dinner was really tasty, a ravioli dish from Super Natural Everyday. I tossed together arugula and parmesan ravioli, a homemade cilantro pesto, toasted pepitas, kalamata olives and roasted eggplant. Ravioli is one of my favorite foods - I mean, pasta and cheese, how could it not be? If you’re looking for a fun new cookbook, I don’t think I’ve cooked anything from that cookbook that hasn’t been delicious!